Police say a series of four assaults and robberies along pathways in Reston, Va. during the past couple of weeks may be related. 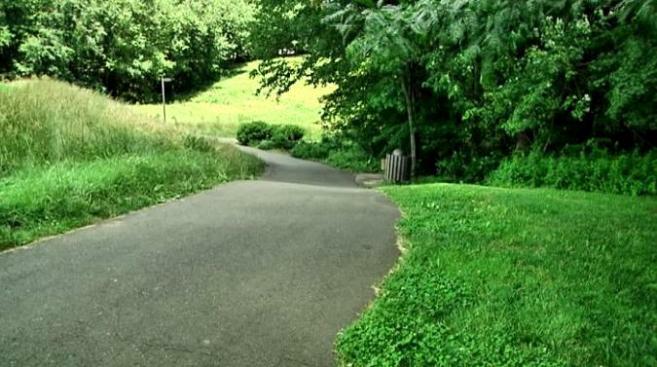 A common thread between the incidents is that individuals walking or riding bikes along secluded paths were approached by several men, who assaulted them and demanded money. "[They're] knocking people down, punching them, assaulting them, taking their belongings and then leaving. Sometimes running, sometimes walking away," Lucy Caldwell with Fairfax Police told News4's David Culver. In the first incident, two men were walking along a path near Moorings Drive and North Shore Drive just before 8 p.m. June 3 when they were attacked. Four days later, a 31-year-old man was walking on a path near the community center on Pinecrest Road at 9 p.m. when he was approached by four men who demanded money then punched him repeatedly. June 9, a 42-year-old man was pushed off his bicycle by one man and assaulted and robbed by three others just after 6 p.m. The victim was brutally beaten - he was hospitalized for broken bones and other non-life threatening injuries. In the latest incident, a 23-year-old man was walking home from the store at approximately 3:30 p.m. along a path close to a soccer field at Hunters Woods Park. Three men approached him from behind, pushed him to the ground, robbed him and assaulted him. He also suffered non-life threatening injuries. Officers have started patrolling the pathways. "We have stepped up police presence and people can expect to see us, or it may be even undercover along the pathways in Reston," Caldwell said. Some Reston residents say they avoid the paths all together, police presence aside. "I don't walk that path! I've done it a couple of times with other people, but I will not go there alone," Jacqueline Garnier said. "You see three or four guys who are just hanging out at a bridge - I don't care if they're black, white, purple with yellow dots - they outnumber me!" Mary Dominiak said. If you have any information on these incidents or the suspects, contact police at 10866-411-TIPS or text "tip187" to CRIMES.